Long live layers that are made to be lived in. 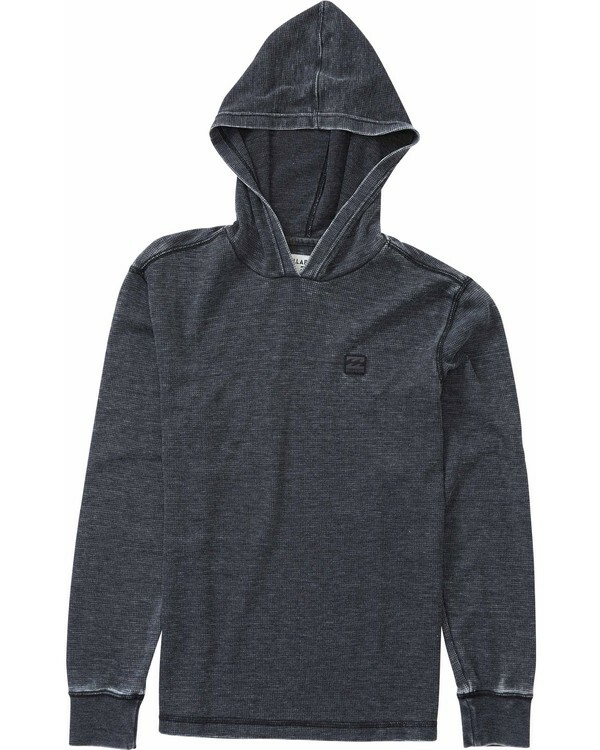 A burnout effect gives this kids thermal hoodie a faded look and broken-in feel. Little boys long sleeve hooded thermal. Woven logo label at left chest.